Direct access to your customers. In print and online. Bigger formats. More engagement. Reach your best market. Our neighbors are motivated to read MKNA communications. Support the work of MKNA to catalyze neighborhood economic development. Print ads reach 19,000 MK residents through our full color news magazine. Digital ads engage customers through the mkna.org website, our social media channels and email newsletters. Download our media kit for complete details. Our newsletter is published quarterly.  Seven thousand magazines are mailed to 7,000 Meridian~Kessler residential households (19,000 people), our extended business community, churches, schools, service agencies, government, civic and community offices. Distributed late February. Advertising Materials Deadline Jan 8, 2016. Distributed early May. Advertising Materials Deadline April 4, 2016. Distributed by hand June 3, 4, 5. Advertising Materials Deadline May 1, 2016. Distributed late August. Advertising Materials Deadline July 6, 2016. Distributed mid November. Advertising Materials Deadline October 5, 2016. All details on deadlines advertising sizes, rates and technical specifications are available in our Media Kit download. All advertisements are full color. We accept advertising files only in Adobe Acrobat PDF format. PDF files should be set up for high resolution PRESS QUALITY: CMYK color mode with all images and fonts embedded. Image resolution must be no smaller than 300 dpi (dots per inch). Any ad materials produced with image resolution be less than 300 dpi will be returned. All ads must match the ad size specifications printed in the Media Kit. Any digital file requiring alterations and/or adjustments to ensure printability will incur a $25.00 production charge. This includes converting color from RGB to CMYK mode. Any digital file requiring redesigning layouts or creation of new layouts, adding new text, photos, graphic elements will be returned. If we receive non-digital (paper) camera ready art, the client will incur a $25.00 production charge to have the art digitally scanned to a usable resolution. Advertisements created using artwork scanned from paper artwork will always be lower quality than ads published from digital artwork. Business Membership at the Silver Level and above includes one free 30–day display advertisement on our website mkna.org. Digital display ads link directly to your own website. Website ads are available for $ 50 per 30 days. Dimensions are 125 x 125 pixels. All details on deadlines advertising sizes, rates and technical specifications are available in our Media Kit download. Business Membership at the Silver Level and above includes one photo post to MK Facebook page and our Twitter feed. Our MKNA Facebook page has over 1,400 ‘Likes’ and an average weekly reach of 5,000 people (as of 10/14). Our social media directly reaches this motivated neighborhood audience. We’ll post a photo message promoting your business. Social Media promotions (reaching both Facebook and Twitter audiences) are available for $ 150. All details on deadlines advertising sizes, rates and technical specifications are available in our Media Kit download. Sponsor MKNA’s monthly Email Newsletter and elevate the awareness of your brand to our entire email database. Call us to discuss this opportunity. Contact us to inquire and/or purchase advertising. Please provide us with your information. Send the form. Then you can use PayPal to check out or you can mail us a check.